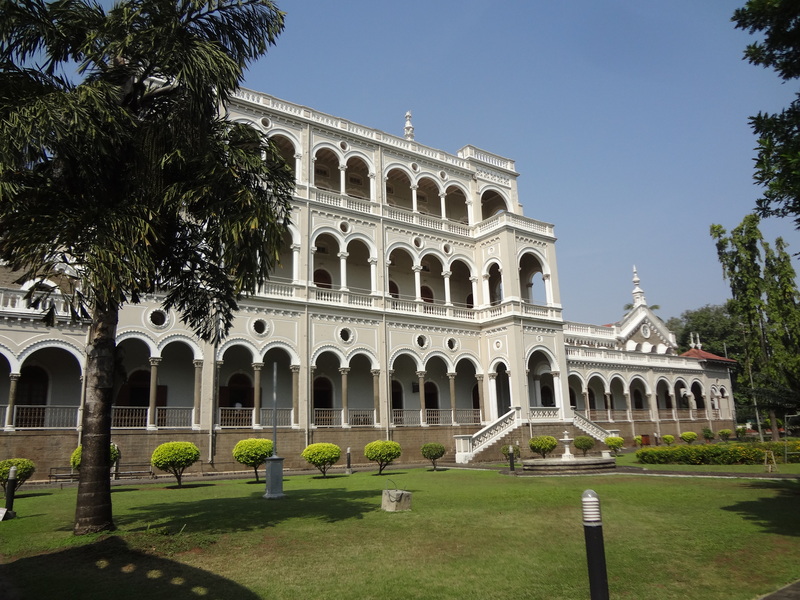 Gandhi, his wife Kasturba Gandhi, and his secretary Mahadev Desai were held at Aga Kahn Palace in Pune during the Indian Freedom Movement from 1942 to 1944. 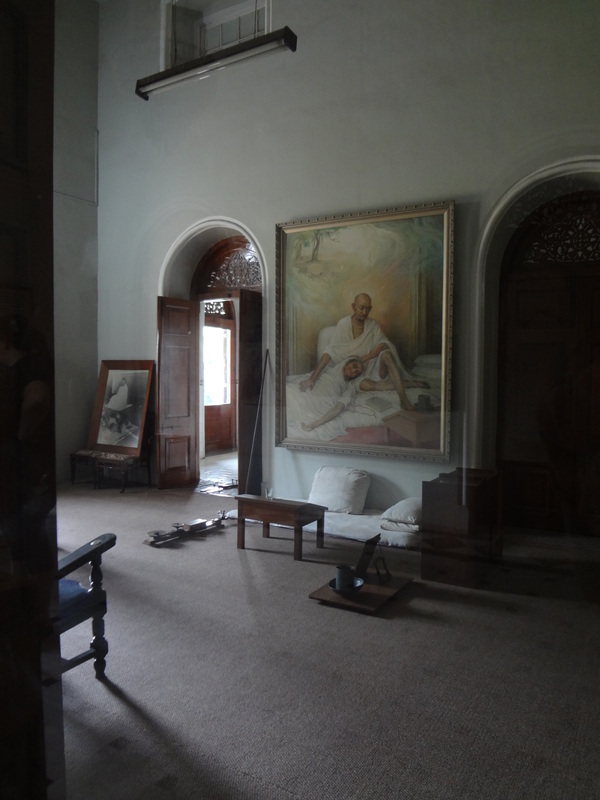 Both Gandhi’s wife and secretary died while being held here. 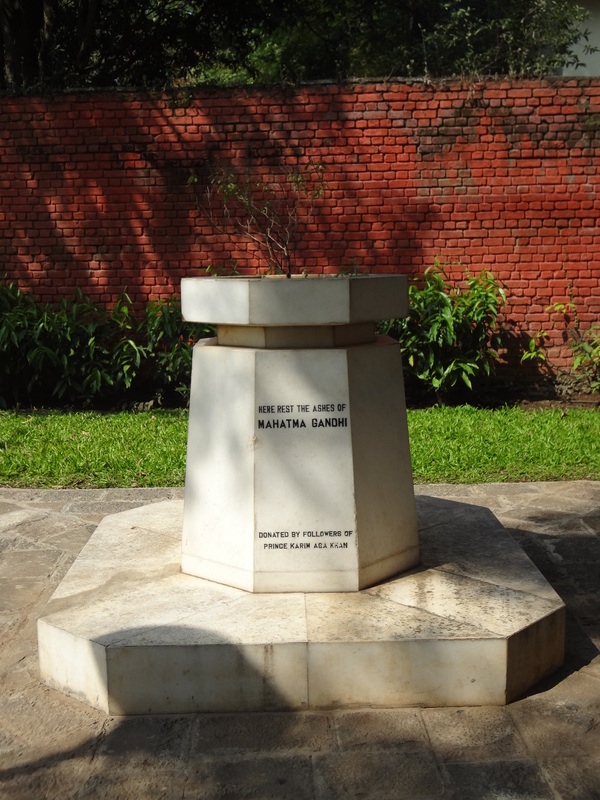 Their ashes and a portion of Gandhi’s ashes reside in the garden of the palace. 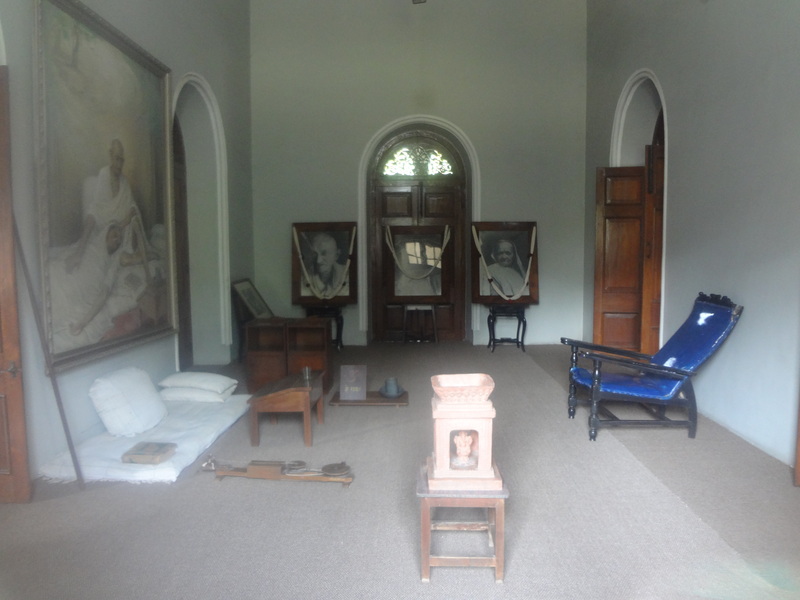 During Gandhi’s stay here, he would walk the path to the memorials of his wife and secretary to have Samadhi (or meditation). I walked this same path and found it very moving. 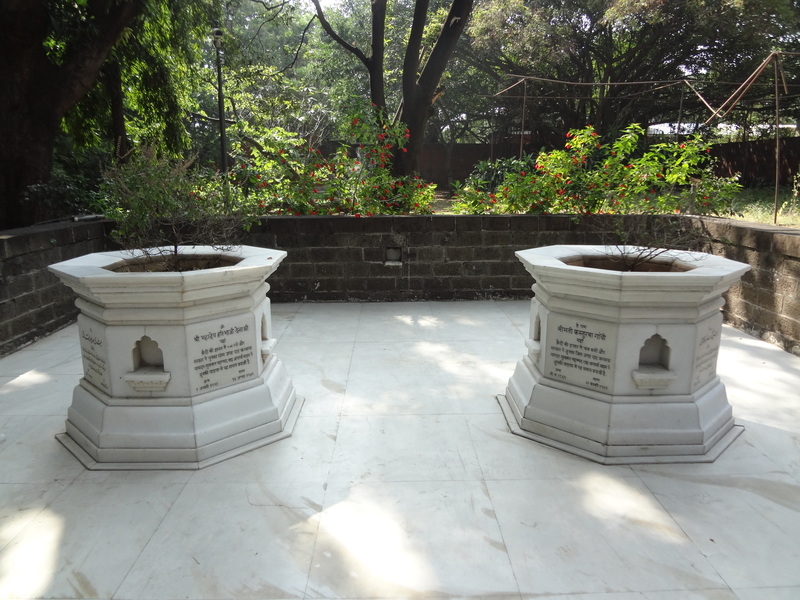 Kasturba Gandhi and Mahadev Desai’s ashes. I know it’s strange, but I was somehow impressed by Gandhi’s bathroom, located through the door on the left. It’s a simple 1940’s bathroom with a pedestal sink and grayish white marble. There is a long thin tub and I kept thinking to myself ‘Gandhi bathed here’. Unfortunately, I couldn’t get a good picture of it.